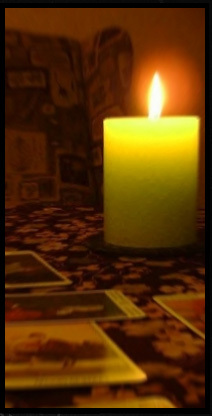 We offer a selection of psychic and spiritual readings at both Marie Laveau’s and Rev Zombie’s House of Voodoo. Every reader has their own specific abilities, ranging from palm readings, past life readings, psychic medium readings and traditional card readings as well. You will be amazed by what many people mistakenly think of as entertainment, our reader’s offer a divination service that will help you find clarity, insight, and revelation in the circumstances of your life, personality, aura and spirit. We are proud to have a very gifted group of readers who have all built a reputation among the locals which continues to grow with each new visitor. Next time you visit the shop, be sure to ask about the readings available, or browse the readers to determine which type you are interested in. Our readers are available every day from 12:00pm until closing. We book appointments in-person, same day. We cannot take appointments over the phone nor do we offer phone readings. Please come visit our shops on the day you’d like to book an appointment and we’d be happy to help you. Available at Marie Laveau’s House of Voodoo on Sundays and Mondays 12pm-6pm. Available at Rev Zombie’s House of Voodoo on Fridays 12pm-6pm. Also at Marie Laveau’s House of Voodoo on Friday and Saturday nights from 6p-1am.